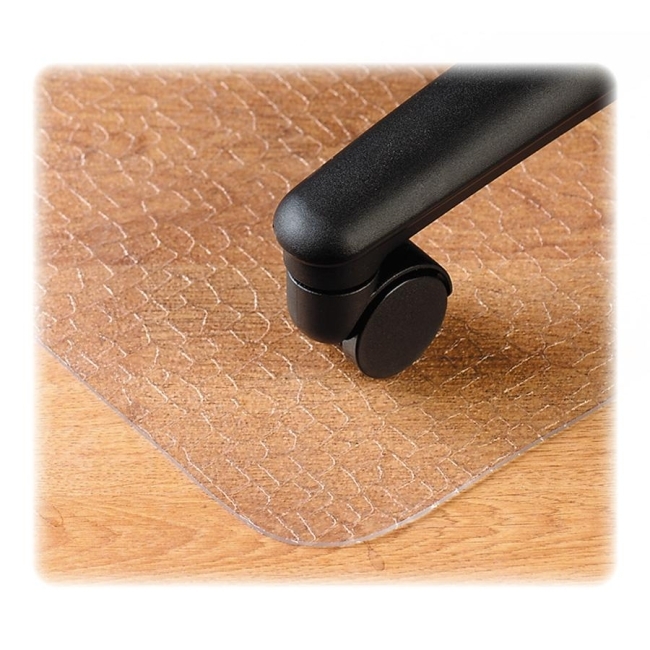 Chairmat protects uncarpeted surfaces from being scratched or scarred by chair wheels. Nonstudded design is ideal for wood, vinyl and tile floors. Smooth bottom surface prevents damage to hard floors. Textured top surface is scuff-resistant and slip-resistant. Chairmat offers a classic straight edge.